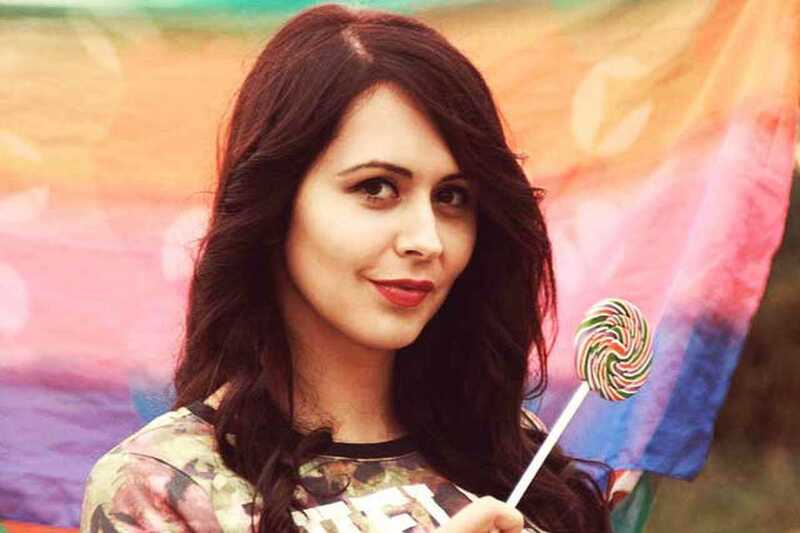 There’s a lot of discussion online about how to fake your location on Tinder. There used to be several apps, for example, that could change your location. That way, you could see and swipe people anywhere you wanted (and they would see and swipe you too). However, the old methods haven’t held up over time. That’s because the latest versions of Tinder make the old ways of location spoofing impossible. Even if you were to download an old version of Tinder — even then! — you’re going to spend hours on Google trying to figure out why it isn’t working. Using Tinder Passport (the “change your location” feature that comes bundled in Tinder Plus and Tinder Gold) is 1000x easier. For most people, paying a few dollars will be well worth avoiding the headache of fumbling with old versions of Tinder, GPS spoofing apps, and the trillion ways they’re all going wrong. And if that isn’t enough, when you change your location using Tinder Passport, you get that “new user” boost in profile views! How Does It Work to Change Your Location on Tinder? It is possible at first that you might still be shown a few people from your previous location. But after a few swipes, you’ll only be seeing people in your new location. And the Tinder Passport settings are pretty solid. It saves your location, so even if you sign out of the app, it will be just like you left it when you come back. What Does Changing Your Location Look Like to Potential Matches? 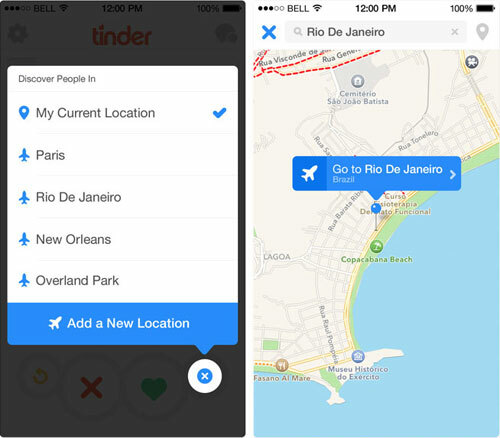 At the original launch of Tinder Passport, there was an airplane icon and blue text which said “Swiping in ____.” This was a dead giveaway that someone was using a fake location. After scrapping that, Tinder just showed distance (e.g. 1000km away). But that, too, was making it obvious when someone was using Tinder Passport. You want every ounce of effort (and money) you put into Tinder to pay off. Optimizing your profile ensures that you get the most out of that initial boost in views when you switch locations. Don’t waste that opportunity with a crappy profile that no one wants to swipe on. 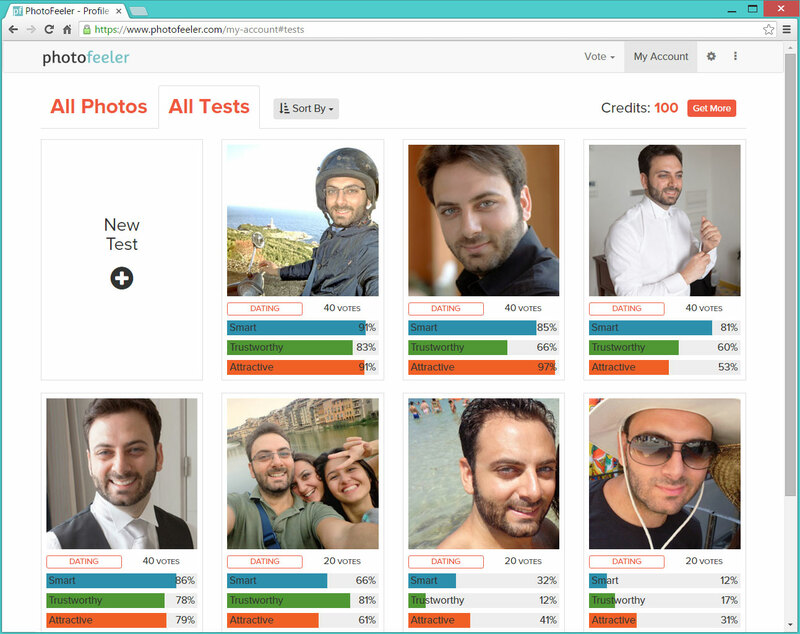 Instead, put some pics up at Photofeeler to find out how they’re coming across to women (or men). It will increase your match rate significantly.